All of a sudden it’s about to be cold here in Atlanta. Later this week the nighttime temperatures will be in the twenties. So while you’re all warm and toasty in front of the fire, remember there are little guys outside trying to survive the cold. You might think it’s no big deal; wildlife has been living outside in the cold for millions of years. But consider the fact that urban wildlife faces a little tougher challenge with a reduced supply of food, water and shelter and the added disturbances of humans. 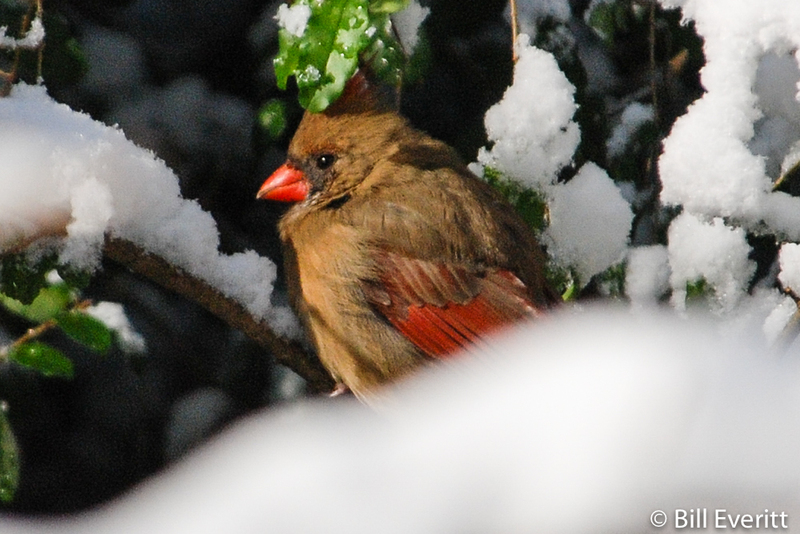 Food – Keep bird feeders stocked and if snow or sleet covers the ground, toss a little extra on the ground. 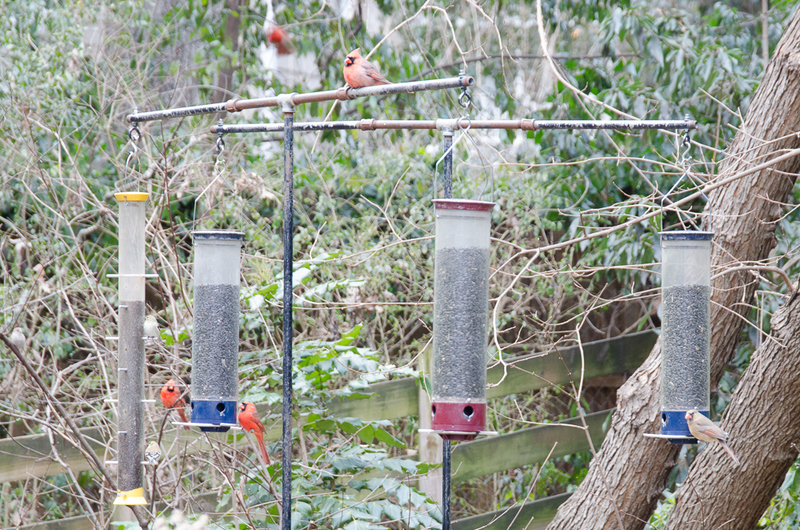 And remember to keep your bird feeders clean and free of mold. 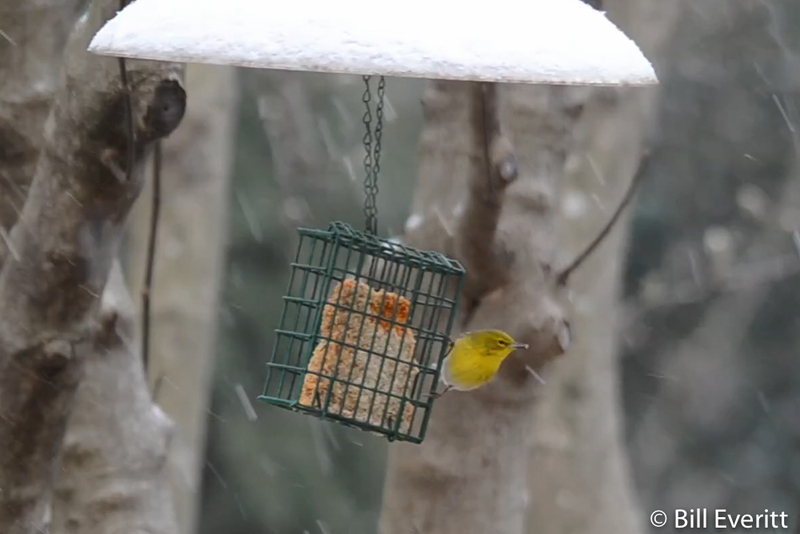 Suet feeders are especially popular in cold weather. 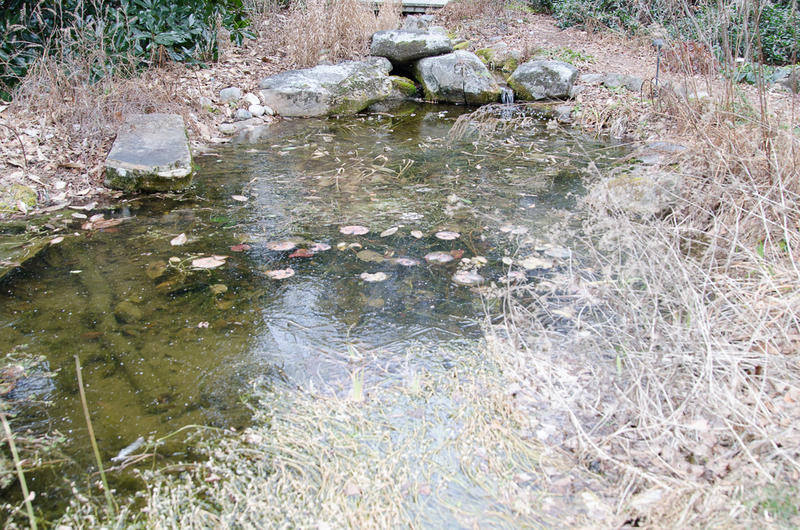 Water – Make sure a couple of birds baths are always available and not frozen (see our blog Surviving Cold Weather). Both birds and other critters will thank you. Shelter – “‘Come in,’ she said, ‘I’ll give you shelter from the storm’.” – Bob Dylan. OK, sorry – drifted off for a minute. There are many forms of shelter that help wildlife. 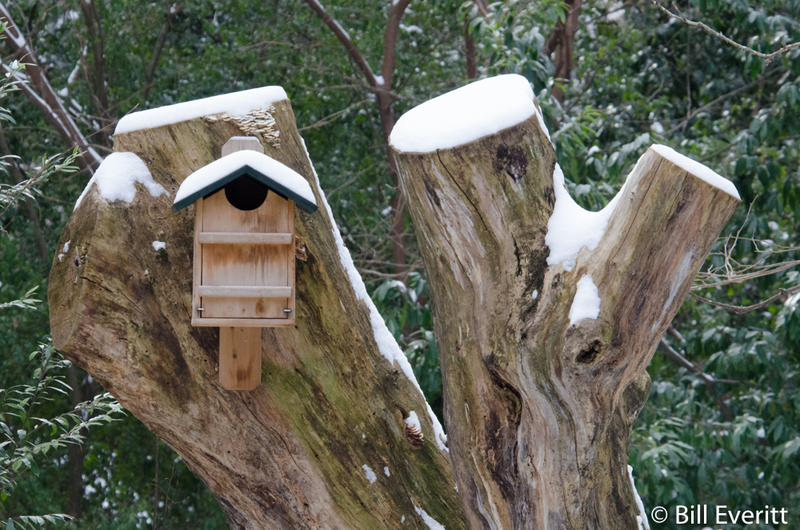 Birdhouses can provide protection from the wind and biting cold. One year we had a Downy Woodpecker roost each night in a bluebird house in the front yard. Leaf piles, logs, rocks and ground cover help all manner of small critters and insects. Native bees will nest in the stems of perennial plants, which is another reason to leave them in place until the spring. Even the shrubbery next to your house can provide critical shelter on very cold nights. Try to avoid walking next to shrubbery where you think someone might be sheltered after dark. Now, go enjoy your hot mulled cider. This entry was posted in Bird Baths, Bird Feeders, Bird Houses, Bird Nesting, Brush Piles, Cold Weather, Feeding Birds, Suet Feeders and tagged Northern Cardinal, Pine Warbler, River Oats, Song Sparrow on December 7, 2016 by beveritt. We just knew you’d be interested in a further report on the recently fledged Cooper’s Hawks (see Monthly Journal, – June 2016 and Cooper’s Hawk Triplets). Yesterday Bruce sent more great photos of two of them enjoying themselves in his bird bath. Thanks Bruce! This entry was posted in Bird Baths, Hawks, Juvenile Birds and tagged Cooper's Hawk on July 6, 2016 by beveritt. 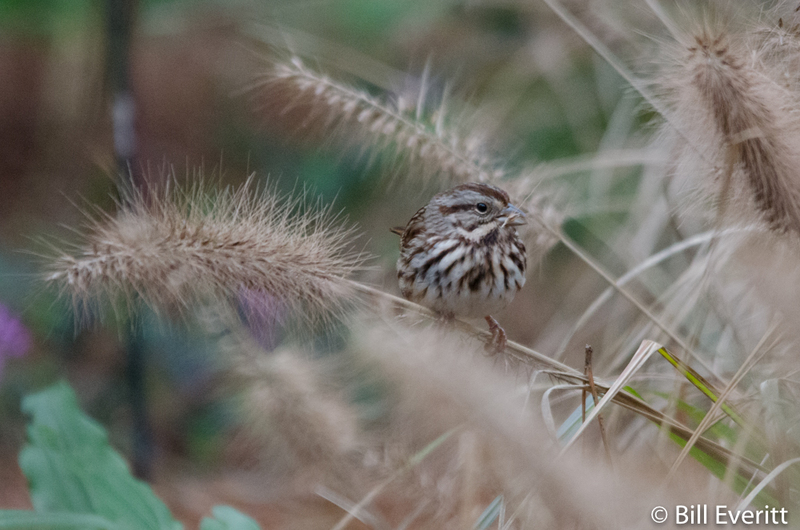 They are small industrious birds and are fun to watch. It’s easy to tell when they are around because their call sounds like a small squeaky toy. 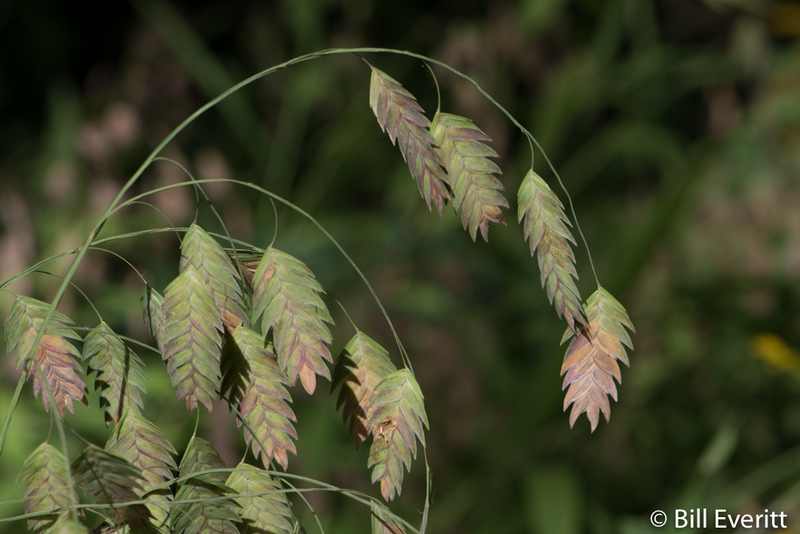 The good news is that, so far, they seem to be doing well in Peachtree Park. We’ve noticed them nesting here in birdhouses and snags for the last several years. But that’s not to say that they don’t still need your help. It’s nesting season, and you can do a lot for this little bird by putting up a birdhouse. 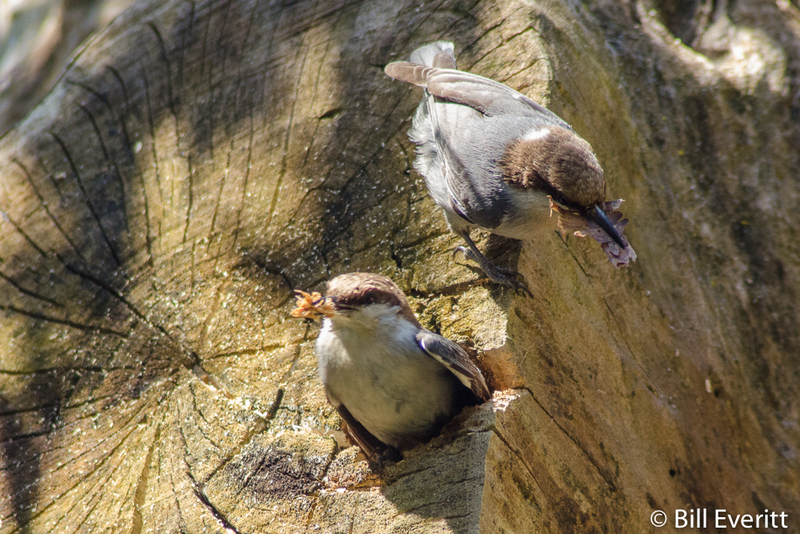 Atlanta Audubon’s Nest Boxes for Nuthatches page has information on how you can buy or build your own nest box along with other information about the Brown-headed nuthatch. Below is a short video of a pair nesting in a birdhouse mounted on a snag just down the street from us (thanks for leaving the snag!) The video was recorded yesterday and today. We think they are still building the nest because you can see nesting material in one Nuthatch’s mouth at the beginning of the clip. 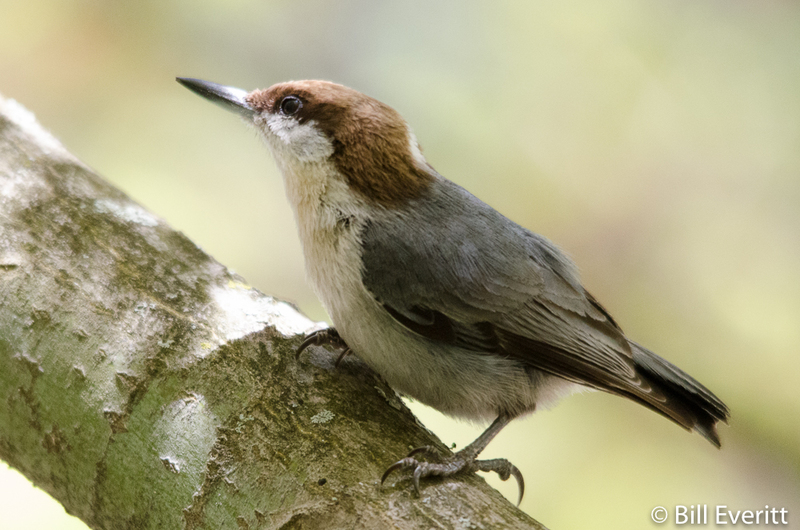 These photos were taken in Peachtree Park and there are two additional Brown-headed Nuthatch videos on our Bird Videos page. This entry was posted in Audubon - Atlanta, Bird Baths, Bird Houses, Bird Nesting and tagged Brown-headed Nuthatch, Snag on April 9, 2016 by beveritt. 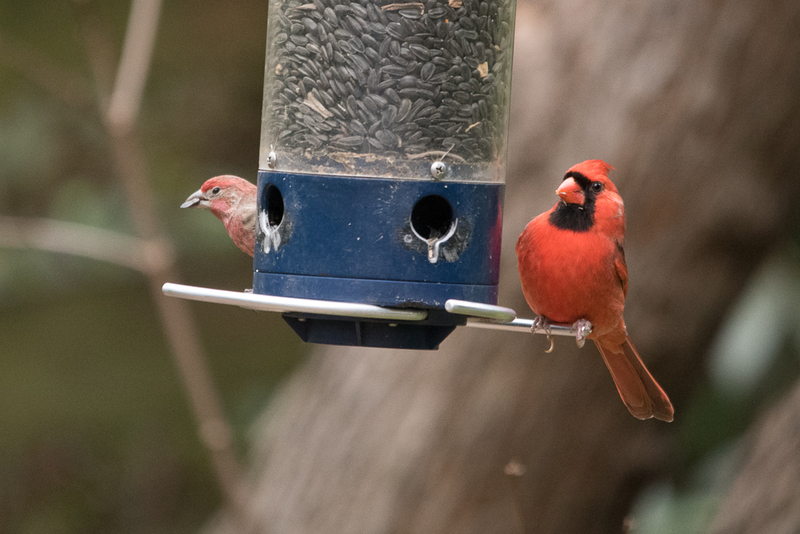 It’s been warmer today, but the bird feeders were about as busy as they get. 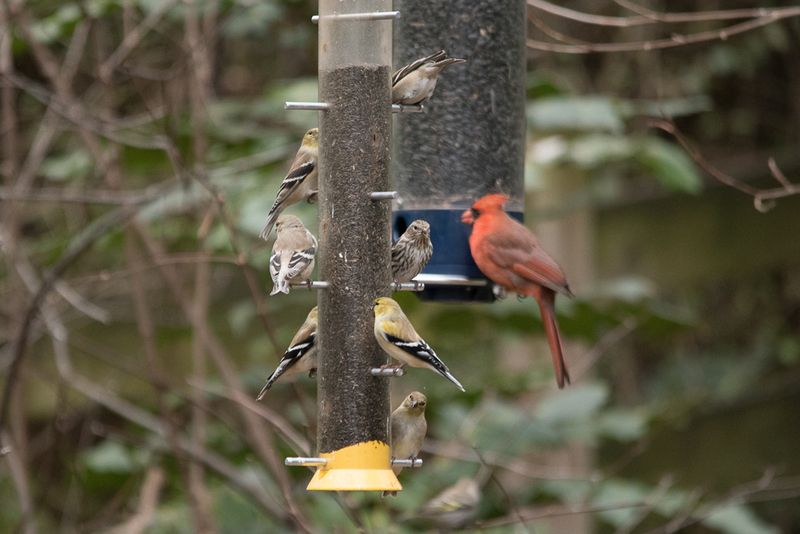 Lots of House Finches, Goldfinches, and Northern Cardinals. 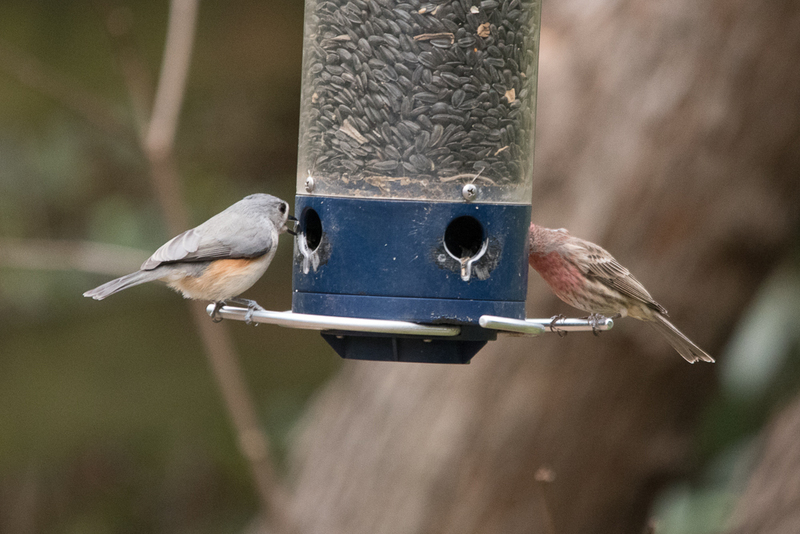 Also present were Eastern Bluebirds, Brown-headed Nuthatches, White-breasted Nuthatches and Brown Thrashers. The Finches were present in abundance. This entry was posted in Bird Baths, Bird Feeders, Feeding Birds and tagged American Goldfinch, House Finch, Northern Cardinal, Tufted Titmouse on February 21, 2015 by beveritt. We’ve had unusually cold weather this week with temperatures in the teens at night and below freezing for several days. Food, water and shelter become very important. The pond is almost iced over. The waterfall keeps an opening clear for oxygen. 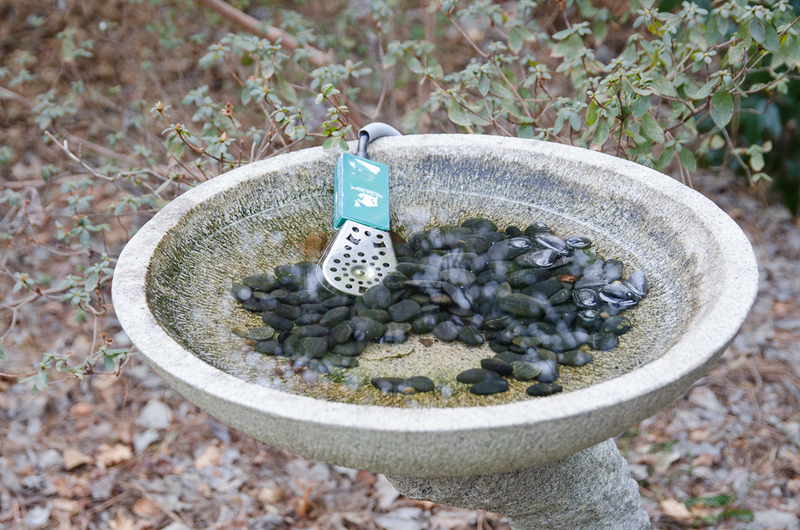 This heater keeps the water in the birdbath from freezing. 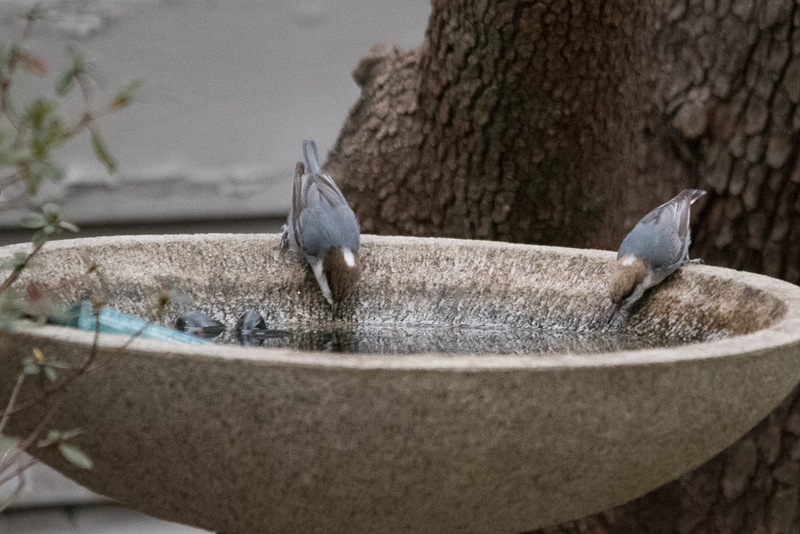 Brown-headed Nuthatches taking a drink. Northern Cardinals at the back yard feeders. 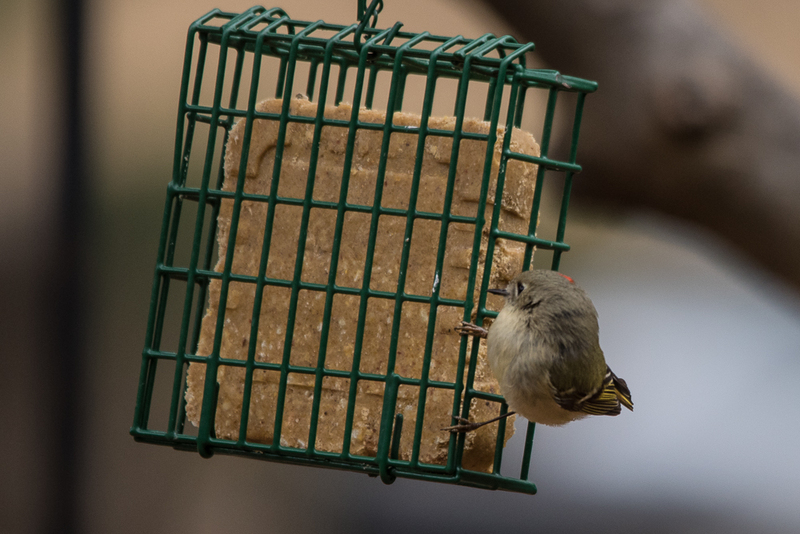 A Ruby-crowned Kinglet on the front yard suet feeder. This entry was posted in Bird Baths, Bird Feeders, Cold Weather, Feeding Birds, Heaters, Suet Feeders, Water and tagged Brown-headed Nuthatch, Northern Cardinal, Pond, Ruby-crowned Kinglet on February 20, 2015 by beveritt.